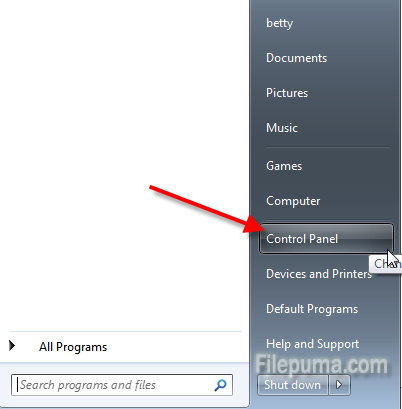 How to Find Hidden Files in Windows? 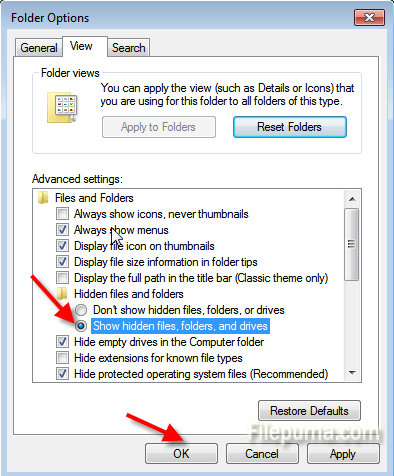 People often set their files or folders to Hidden mode to keep them from being displayed. So if you want to find the hidden files in a certain computer, what do you do? The process to locate these hidden files and folders in Windows is easier than you may think. Step One: Click “Start “ button and then click “Control Panel”. 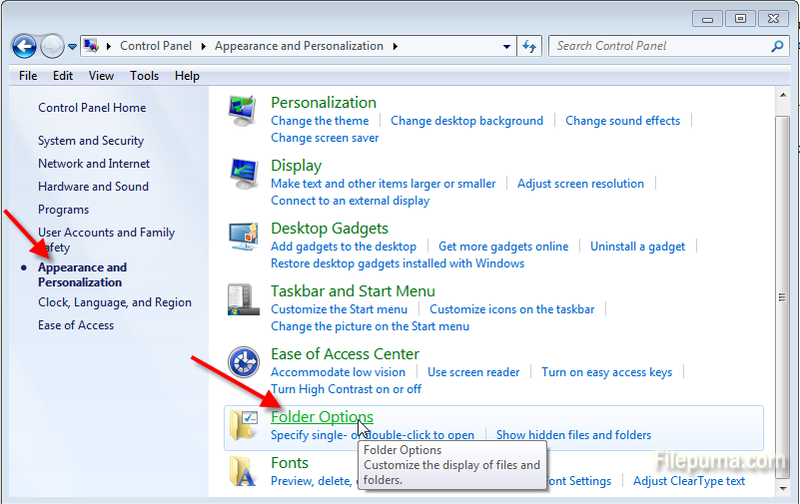 Step Two: Click “Appearance and Personalization” link and then click “Folder Options”. Step Three: Click “View” tab on the Folder Options window. Step Four: Under Advanced settings, click “Show hidden files, folders, and drives” and then click “OK”.